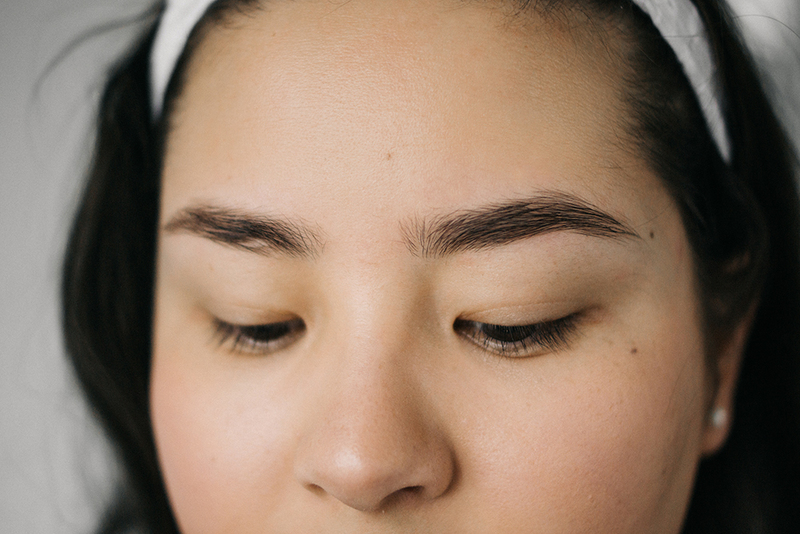 HOW I SHAPE + STYLE MY EYEBROWS. I've had many a question about my eyebrows. And I've not really given them any focus here on BTB, but today, I'm going to attempt to answer all the questions - from how I 'maintain' them, to my favourite products. I hope you enjoy! We'll start with a shot of my naked brow - a bit raggedy and unkempt! As far as shape goes, I tend to keep things as low maintenance as possible. I've never had my brows waxed, threaded, or any means of professional upkeep, but just pluck the dark new growth underneath, and the stray hairs that start appearing between my brows, with these incredibly basic pair of tweezers from Boots. 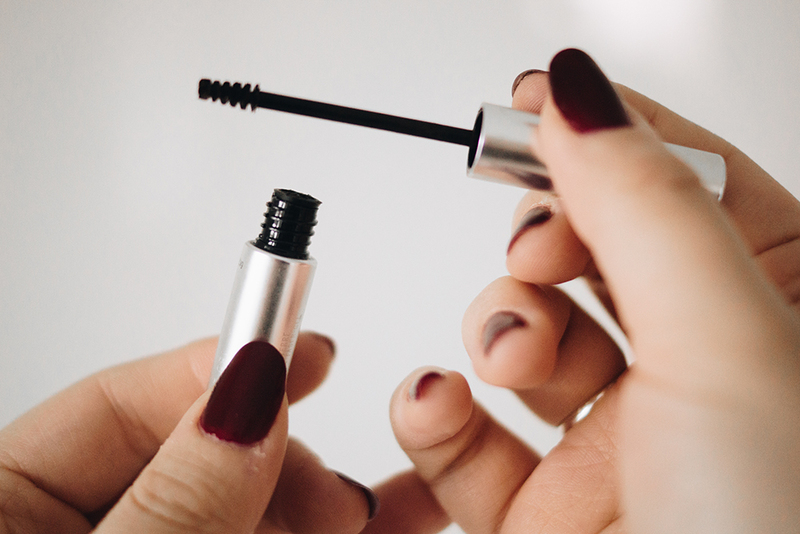 I've a lot to thank my mother for, who always instilled in me the idea of not overplucking, and keeping me on the 'brow straight and narrow' as it were, whilst neat and skinny brows were all the trend during my school years. I suppose I'm quite lucky in that the shape of my brows is entirely natural, they just grow that way, and I like them like that. I've a bald patch in my right brow, which is a scar from essentially being mown down by a teenage boy on a bike when I was very young and toddling about in his path. In fact, that bald patch is why I first starting filling in my brows, when I hit about 20 - before then I just used to embrace the completely au naturel brow, not realising how much they frame a face! 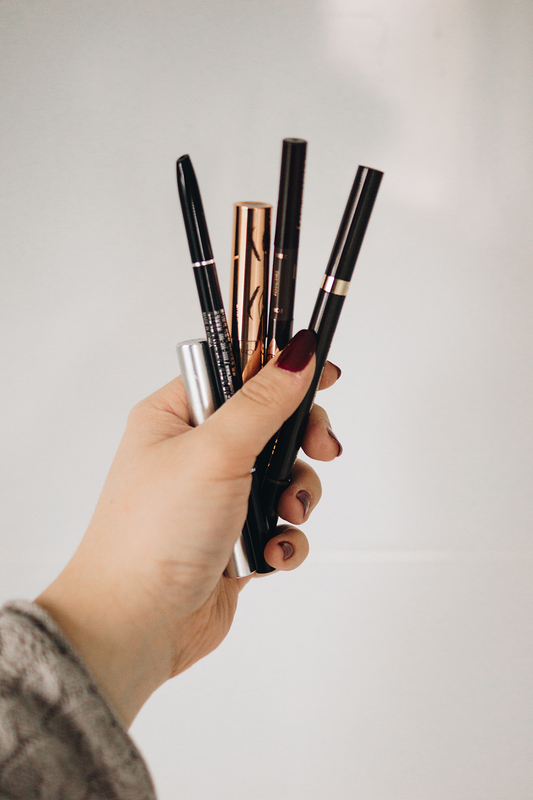 I've tried all sorts as far as brow products go - powders, pomades, gels, tints - but I always revert back to the tried and true, a simple brow pencil, and a gel to hold my long brow hairs in place. I really like either micro pencils (the NYX micro (in Ash Brown), S&G Archery (in Chocolate) or Tony Moly slim pencil (in Deep Brown) are my three favourites, and all coincidentally very affordable) or the sort of slanted, slightly triangular ones (my favourites here being the CT Brow Lift (in Supermodel) c/o, or Tom Ford's pencil (in Espresso) c/o. 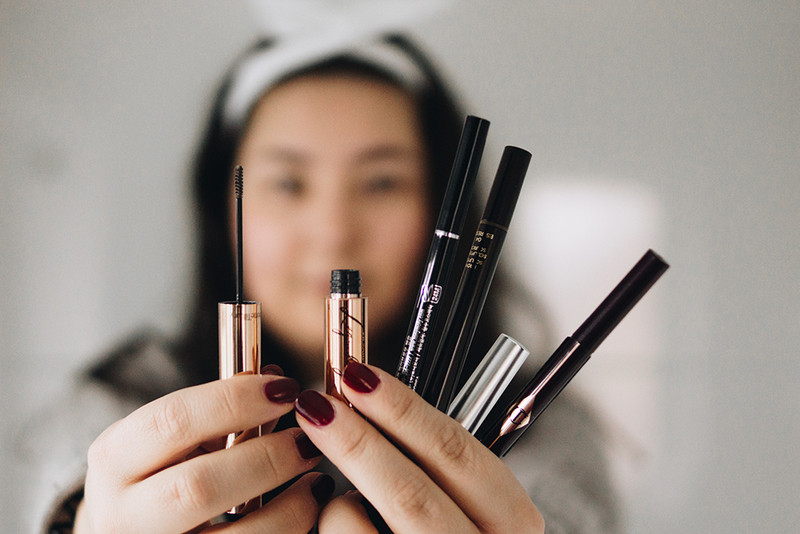 Even though brow pencils have improved greatly over the past couple of years, I still find that Korean or Japanese pencils have the best colours - although saying that, I really like the Burberry Brow Definer tones. For gels, I love teeny brushes - they're probably my one and just about only criteria. 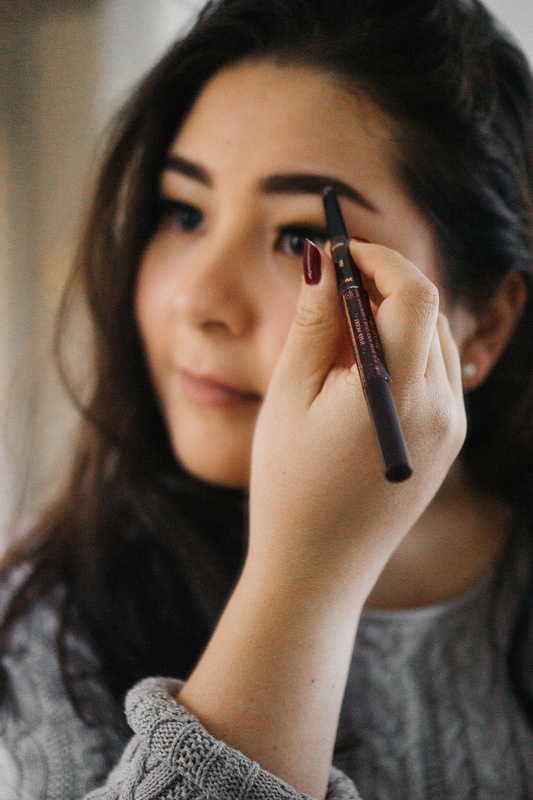 The CT clear gel c/o is very good, and doesn't cast my dark brows an odd grey hue, as is Laura Mercier's Brow Gel - although dupealert, the New Look brow gel is pretty much entirely identical, equally good and costs much less. 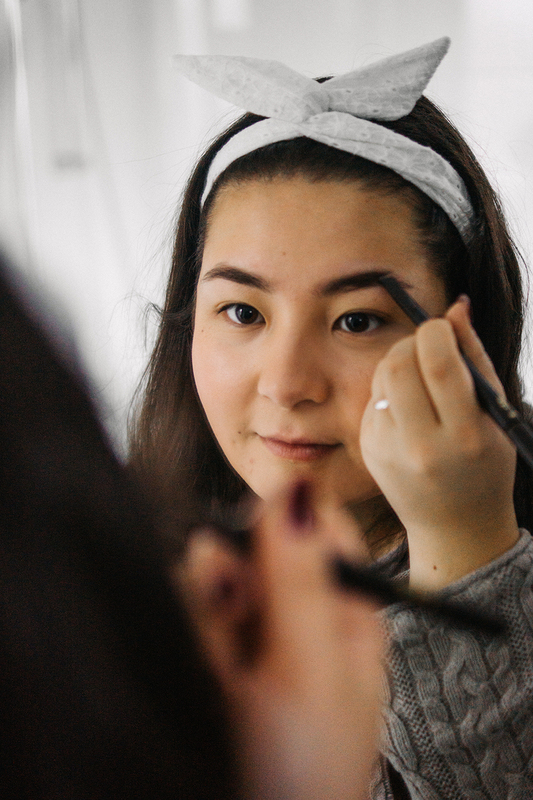 As far as application goes, I start filling in underneath the brow, at the arch, before elongating the tail a tad, with light but quite long strokes, and then using the spoolie end to bring the colour towards the front of my brow (I don't add any extra product there). Sometimes I've brushed them up a bit beforehand to see what I'm doing, a lot of the times I don't bother. Then I run a light but fairly liberal helping of gel through the whole brow to (hopefully) keep everything in place. And ending with the finished product! I hope you've found this post helpful if you've had questions. 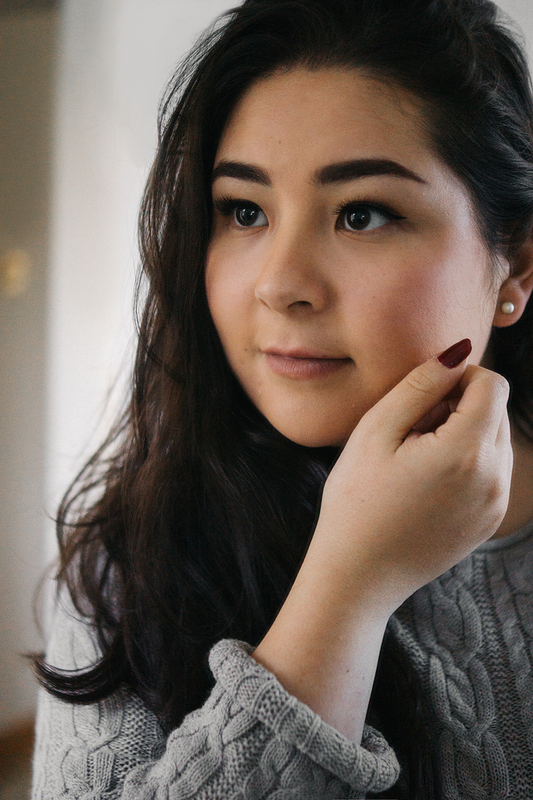 I think the key to my eyebrow 'look', much like most of my makeup, is simplicity. A good quality pencil and brow gel in the right tone, neither of which need to be pricey. Your brows look amazing, and you're so pretty! I always end up using Benefit brow products but I have had my eye on the Charlotte Tilbury gel for a while. Great post. Your eyebrows are beautiful. And they look so effortless. I just started using the Maybelline tattoo brow gel thing. So I only do my brows like every four days.